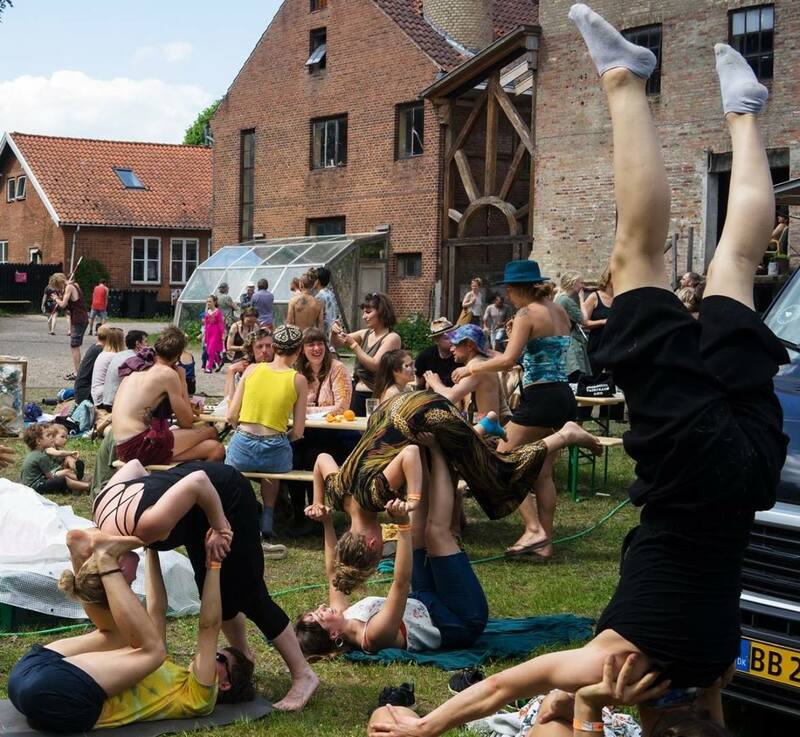 Come to the circushall at 19h tonight and learn some acroyoga! We will meet Tuesdays 19:00 in the circus hall. Bring comfy clothes and a water bottle. Come alone or with friends. We will be asking for a small donation (e.g. 20 kr) to cover heating, electricity and maintenance of Makvärket. Christian will be facilitating the workshops in the beginning. Later we can do it together all of us, or take turns. Acroyoga is a kind of playful acrobatics for two or more people, inspired by yoga. Come as you are, alone or with friends and bring comfy clothes. Everyone of 10+ can participate, regardless of physical shape, form or size.